Features summertime items like flip flops, beach balls, sunglasses, palm fronds, and hibiscus blooms. Fiesta like there is no manana - with our party products! 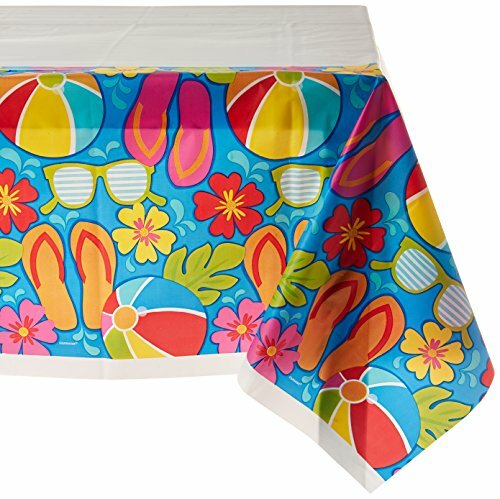 Grab your Summer Splash Plastic Table Cover available in 1 Piece. It is a Must Have party accessory - 54" x 102" which is made of high quality Plastic. Giraffe Girl - Petite Baby Shower or Birthday Party Paper Table Runner - 12" x 60"
Shoots & Scores! - Hockey - Petite Baby Shower or Birthday Party Paper Table Runner - 12" x 60"
Honey Bee - Petite Baby Shower or Birthday Party Paper Table Runner - 12" x 60"